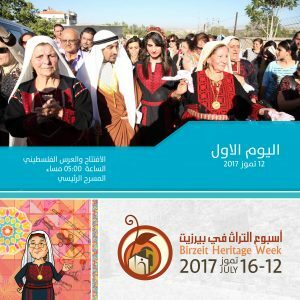 30,000 visitors attended Birzeit’s Heritage Festival, demonstrating their defense and promotion of Palestinian culture and civilization or five nights in July, thousands of tourists, international guests, families and children streamed into Birzeit’s Old City to celebrate Palestinian arts, heritage and crafts. Visit our “Gallery” for photographs and videos of the Festival. The rigors of resistance to Occupation can create a passionate mix of memories of happier times, the difficult realities of the present, and dreams of a future dignity – a mix that may burst with a profusion of artistic talent, innovative thinking and new-found pride in preserving a culture. In July 2017 Birzeit’s 9th Heritage Festival showcased that exuberant abundance with new songs of resistance, traditional dances and rituals from centuries ago, and uniquely Palestinian products of imagination and manufacture. Henna, heritage and history. The opening ceremony of the Festival was a traditional Palestinian wedding, beginning with the customary “Zaffeh” parade through the Old City and ending on the Main Stage with the ritual henna decorating of the bride and an exuberant “dabka” dance expressing the joys of a new beginning. The focus on heritage continued on the second night with the “Flower of the Countryside” competition based on a contestant’s knowledge of her village’s cultural history and the teaching by the women of her village in preparing her for the competition. The winners in 2017 were the villages of Jatt al-Mothalath, Birzeit, and al-Aubeidiya. Pictures of the contestants and their accompanying families and villagers can be seen in the “Gallery”. Joyful noises, daring dances. The Festival boasted far more than a series of lessons in Palestinian history. The streets and alleys burst with traveling musicians and performers, the Main Stage hosted rousing “dabka” dances from several national groups, modern dance troupes, folkloric songs and rap music, bands that played traditional music with contemporary twists, and the star artist and singer, Violet Salameh. Laugh and learn. For children, and adults who enjoy laughing, there were clowns, comedy and comity. In the Children’s Theater, the Al Tantour Palestinian Theater presented the “Yellow King” and “Blue Queen” in a lesson teaching tolerance and love while on Day Five Majoun tried to convince Sanoun to brush his teeth for better health. The internationally known storyteller and TV star Adel Tartir (“Abu al-Ajab”) displayed his passion for preserving Palestinians’ stories. There was face-painting and athleticism – from children’s exercising on the Inflatables in the Sama Birzeit Park to the athletic antics of The Palestinian Circus in their circus tent. A tent of another sort – a Bedouin tent – was on display for an easy lesson in cultural differences among friends. The Souq. In the evenings, the Festival turned Birzeit’s Old City into a bustling scene of art, artisans, visitors from around the world, and handicrafts and edibles from women’s associations devoted to preserving Palestinian heritage. There were pastries and pickles, exquisite embroidery and products from the native olive tree. Artists displayed their finished works while artisans created their work in open air, making soap and brooms, weaving carpets, carving wood ornaments and clogs. At the Sa’adeh House for Science and Technology, Al Nayzak presened a “Creative Thinking Exhibition”. The International Hosh featured guests from the European Union, Brazil, Russia, and the Basques of Spain. Belgium, Turkey and Serbia presented performances of their own cultural heritage. Health and Hospitality at the Hanoun. Tired children and feet-weary adults were restored to good humour at the Hanoun Tea House where tea and medicinal herbs were enjoyed in a quiet environment. The health of the planet also received more attention this year with several artists presenting works created from recycled materials. Women were encouraged to get free mammograms and examinations for diabetes, courtesy of the Birzeit Women’s Charitable Association and the August Victoria Hospital in Jerusalem. Partners and Supporters. The 9th Festival renewed partnerships with a wide variety of volunteers, non-profit organizations from Palestine and abroad, municipalities and other governmental institutions. Chief among them are the Birzeit Municipality, numerous Birzeit institutions and organizations, the European Union which has provided generous funding for a number of Rozana’s projects over the years, and the many women’s associations from villages and towns in the West Bank and beyond the “Green Line”. 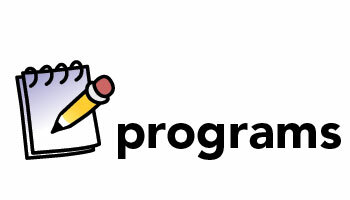 For a complete list of supporting organizations and businesses, please visit our “Support” page.